Apollo was the patron and foremost divinity of Cyrene, and the temple dedicated to him on the terrace beneath the sacred spring was one of the most important monuments of the ancient city. In AD 115, while Trajan and the majority of the Roman troops were campaigning in Parthia in the East, the diasporic Jews rose against Rome, creating havoc in Cyrenaica, Egypt and Cyprus. 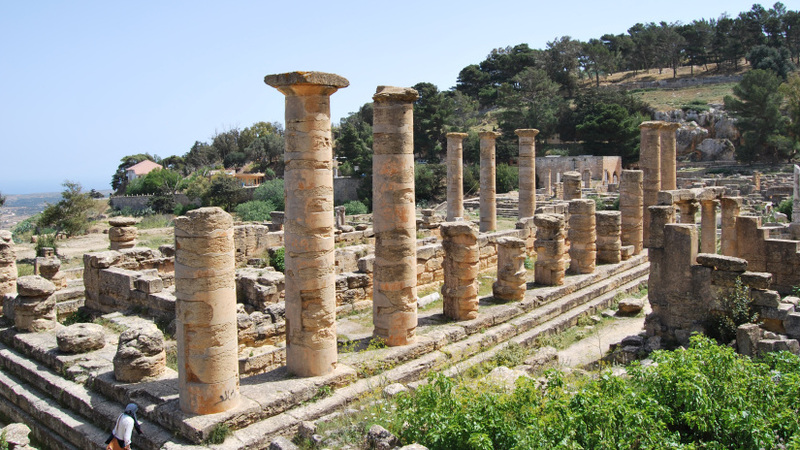 The hostilities started in Cyrene and quickly spread to Alexandria, Judaism’s largest city, and resulted not only in great loss of life but also in widespread destruction. In Cyrenaica, the revolt raged all over the country and was characterized by extreme violence and bloodshed. Dio Cassius paints a horrific picture of unrelieved brutality. Caesarea Maritima is perhaps one of Israel’s most famous attractions. Its ruins are located by the sea-shore of Israel about half way between Tel Aviv and Haifa. It is the site of one of the most important cities of the Roman World, the capital of the province of Judaea. The city was founded between 22 and 10 BC by Herod the Great (37-4 BC) as an urban centre and harbor on the site of the earlier Straton’s Tower. The city has been populated through the late Roman and Byzantine era. Today, Caesarea is a large and beautiful national park and a fascinating place to visit while exploring the Holy Land. The Judaean port of Caesarea had no reliable source of fresh water when construction on the city began around 22 BC. King Herod commissioned a raised aqueduct to deliver water from the springs near Shuni, 16 kilometers north-east of Caesarea Maritima. Today, the most impressive part of the Herodian aqueduct (known as the high-level aqueduct I) can be seen on the beach of Caesarea, north of the ancient city.